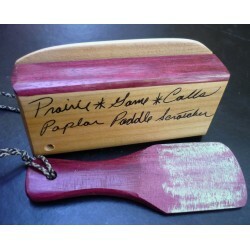 Prairie Calls There are 11 products. 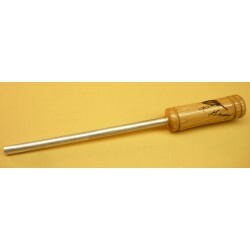 The Aluminum Rod Striker is one of Larry Gresser's favorite strikers for Glass and Crystal calls. Works well in wet weather. Has a crazy raspiness to get those old hens mad and come looking for that other old hen. 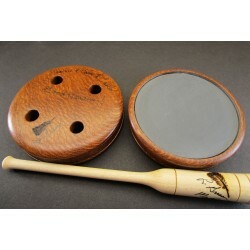 African Rosewood (Bubinga) is a favorite of turkey hunters for its easy running style. 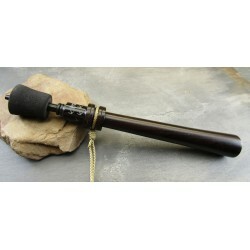 Works on many call surfaces and holds a middle tone and a medium rasp. Live Oak wood looks much like Red Oak but is its southern cousin. Excels on Aluminum and Glass. 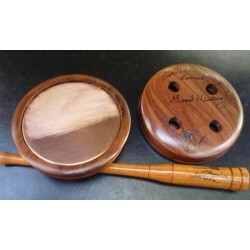 Poplar box trimmed with Purpleheart matched with a Purpleheart paddle striker. 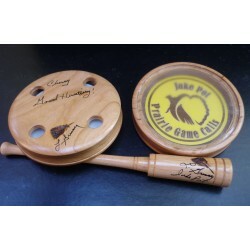 These little calls have good volume and can be toned down to make authentic purrs and clucks. 4"X2"X1" . Includes chalk and call bag. 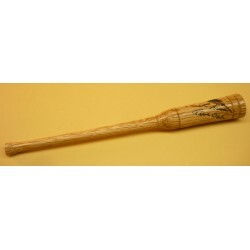 Handle is made of heartwood Poplar and sports a carbide stone for roughing up and touching up your call in the woods. 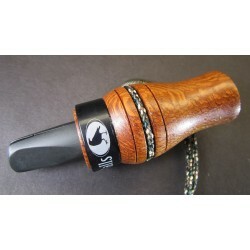 Comes with a lanyard for your wrist or clip it to your vest so it is always handy to use.